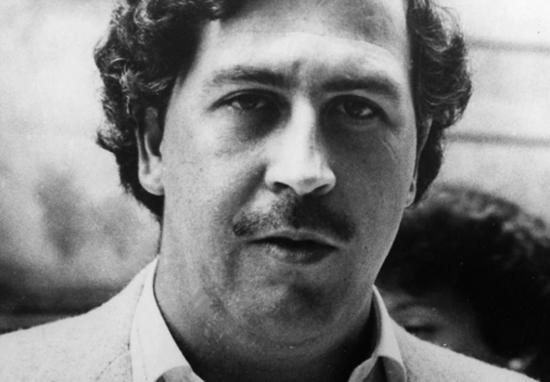 Pablo Escobar was one of the most notorious drug lords of all time, with his life and crimes still having a ripple effect years after his death. The criminal activities of Colombia’s ‘King of Cocaine’ have sparked numerous books, films, and of course television programmes; with Narcos gaining particular critical acclaim. Regarded as a Robin Hood figure by some, and as a ruthlessly dangerous villain by others; Escobar remains a dark source of fascination for people all across the globe. Escobar was staggeringly wealthy, and his money was reflected in his opulent estate; Hacienda Nápoles, which he shared with many exotic creatures, great and small. But what many people do not realise is how Escobar’s infamous private zoo, and in particular his collection of hippos, would go on to impact Colombia’s ecosystems; giving the narcoterrorist influence from beyond the grave, albeit in unforeseen ways. Few homes on Earth could ever measure up to Escobar’s palatial property in its heyday; which boasted a private airport, sculpture park, bullring and several swimming pools. Perhaps most notably, Escobar also built an expansive zoo on the property; filled with illegally smuggled animals such as elephants, ostriches and hippopotamuses. After Escobar’s death in 1993 many of the animals were shipped to other, more suitable locations. However, his beloved hippos escaped and began a life for themselves in the Magdelena, Colombia’s main river. Their population has since swelled and – although numbers are not certain – it’s estimated there is around 40 to 60 wild hippos; as told to the National Geographic by University of California San Diego ecologist Jonathan Shurin. For the past two years, Professor Shurin has been working alongside Colombian scientists, students, veterinarians, and fishermen for a National Geographic Society funded project. This project has involved monitoring water chemistry, analysing microbiome samples, and recording the soundscape in a bid to figure out how exactly the hippos are impacting upon their surrounding environment. Hippos – who are sometimes referred to as ‘ecosystem engineers’ – feed on land but excrete in the water. Therefore nutrients are transferred from terrestrial to aquatic ecosystems, altering water chemistry and changing the structure of wetlands. As a result, fish can be left vulnerable to predators. It wasn’t like going from a super clean, clear-water lake to a super green lake; it was like going from a very green lake to even greener lake. The Colombian government has long been looking for ways to sterilise or move the hippo population, fearing they could displace native animals such as otters and manatees while posing a danger to human life. However, some scientists believe Escobar’s hippos are having a positive impact on biodiversity, helping to carry out the ‘ecosystem services’ conducted by giant herbivores driven to extinction in millennia long past; a process known as ‘rewilding’. I just learned that Colombia has a wild hippo problem because pablo escobar's pet hippos escaped and it is my new favorite fact. It’s still up for debate whether the impact of the ‘cocaine hippos’ should be viewed in a positive or negative light. However, many conservationists, scientists, and indeed locals, are in favour of keeping them around. Even though their infamous master has long been laid to rest, his hippos and their descendants continue to cause chaos and controversy. Could Pablo Escobar's Escaped Hippos Help the Environment?